The storm is located near 65 deg. N latitude and 85 deg. W longitude, and is more than 1000 miles (1600 km) across. The residual north polar water ice cap is at the top of the image. 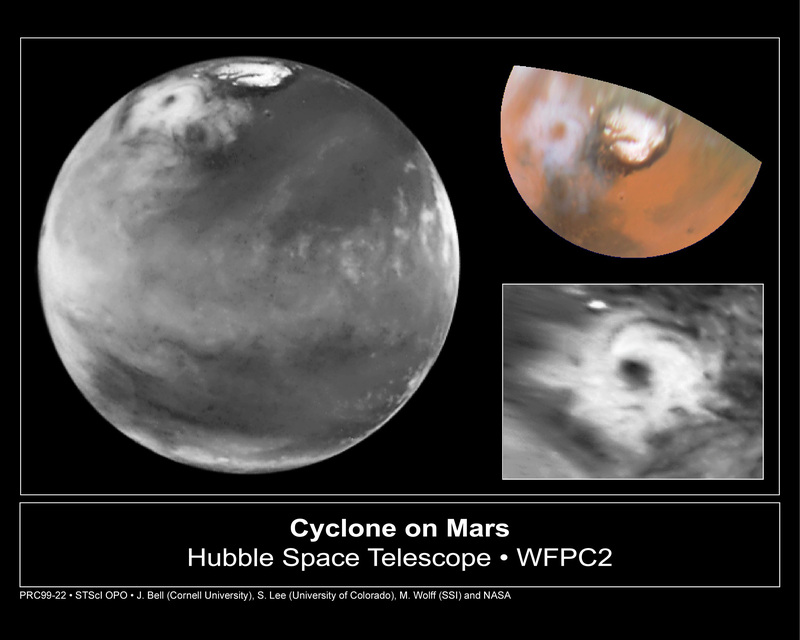 A belt of clouds like that seen in previous telescopic observations during this Martian season can also be seen in the planet's equatorial regions and northern mid-latitudes, as well as in the southern polar regions.